On the quaint and intimate Napoleon Street in Cottesloe, you will find Up Town Cottesloe. Housed in an old Optometrist’s, this area has a warm aged High street feel to it. The food and service are of high standard at Up Town. Consistency is what makes or breaks a hospitality venue and Up Town delivers consistent quality experiences as reported by our users and experienced first hand as at October 2016. 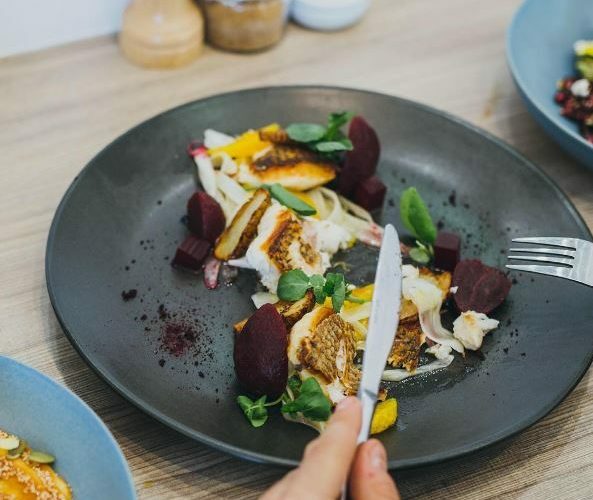 A menu that features a fantastic selection served all day and attentive yet friendly and relaxed good service renders this popular Cott eatery as highly recommended for lunch, brunch, breakfast or a coffee catch up. Do you agree? What is your favourite item on their menu? Leave your comments below. Add YOUR photos of Uptown Cottesloe to our online community by hash tagging #thefoodiehub on Instagram or Twitter and posting them to The Foodie Hub’s Facebook page. Or write YOUR own review! Leave a comment below and tell us what you thought of your experience at Uptown Cottesloe!